Tamayouz Excellence Award is delighted to invite students, designers and architects worldwide to transform the current unused site of the Old Governorate Building into the Baghdad Design Centre in the city’s Cultural District, Al-Rusafa. Participants are asked to transform the current unused site while integrating the damaged facades in their ideas for the new building. 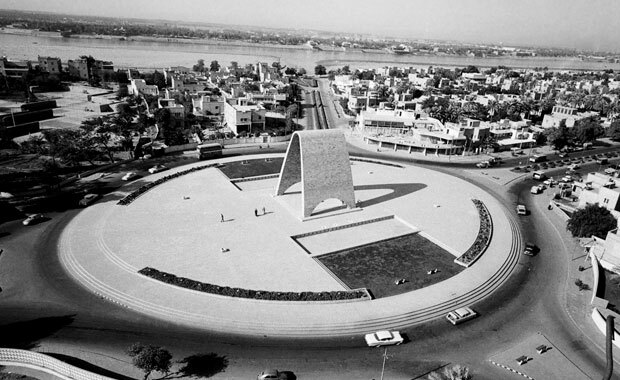 The facades will be a memorial for an era in Baghdad’s history. The 1st Prize winner will be awarded $5,000, the Rifat Chadirji Statuette and will be invited to the 2018 Award Ceremony — with flights & hotel covered by the organizers. The 2nd and 3rd Prize winners will each receive $1,000, certificate and will also be invited to the 2018 Award Ceremony. In addition to the Main Prizes, one People’s Choice Award of $500 + certificate will also be awarded. There will be seven (7) Honourable Mentions certificate prizes and online promotion for the best 50 entries. Architects, students, engineers and designers are invited to participate in this prize. Participation can be on an individual or team basis (maximum of four team members). The participation of multidisciplinary teams is encouraged. The competition hopes to see a new architectural approach that helps Baghdad celebrate its architecture and heritage. The transformation of the site into a Design Centre that showcases the best of contemporary design and is also a space of creative collaboration forms the basis of the brief. Whilst creating a new and optimistic vision for the future of design within Iraq the proposals should also set a benchmark for the respectful treatment of cultural heritage in a true fusion of the old and the new. Every year Tamayouz International Award chooses a different city to host the ceremony, in 2017 it was held in Amman – Jordan. This year’s City will be announced later in the year. The Rifat Chadirji Prize is named after Dr. Rifat Chadirji, the great Iraqi architect whose influence and importance is far beyond built work. It is a celebration of his 90th birthday.